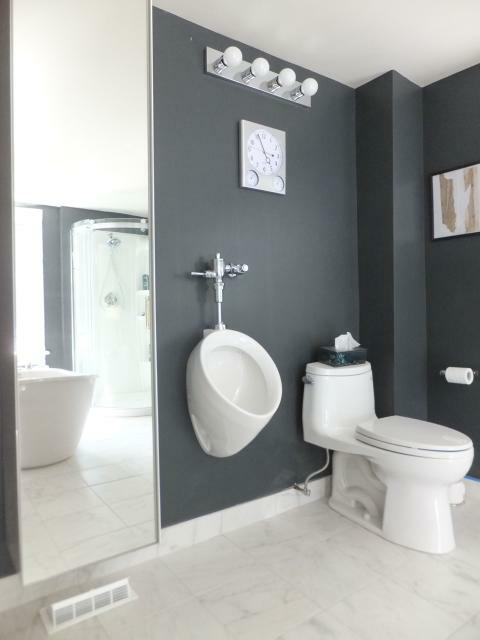 Howard installed this urinal in his private bathroom at his home in Toronto, Ontario, Canada. This photo was submitted by Howard's friend and frequent Urinal Dot Net contributor Levern/Shanks. He writes: "A friend of mine who lives in Toronto, Ontario, completed his bathroom renovation recently. A Toto urinal complements the Toto toilet that was installed."